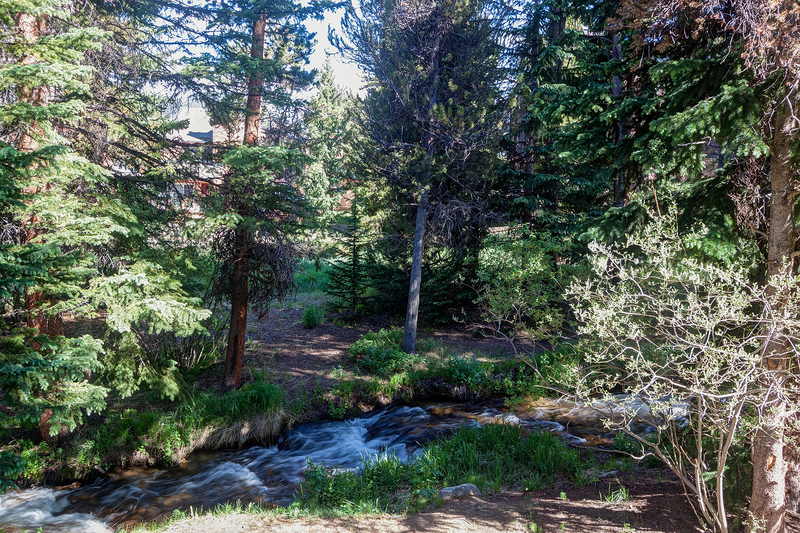 Wildwood Suites is nestled among pine trees next to a picturesque mountain stream in a quiet residential neighborhood just two blocks from downtown Breckenridge. 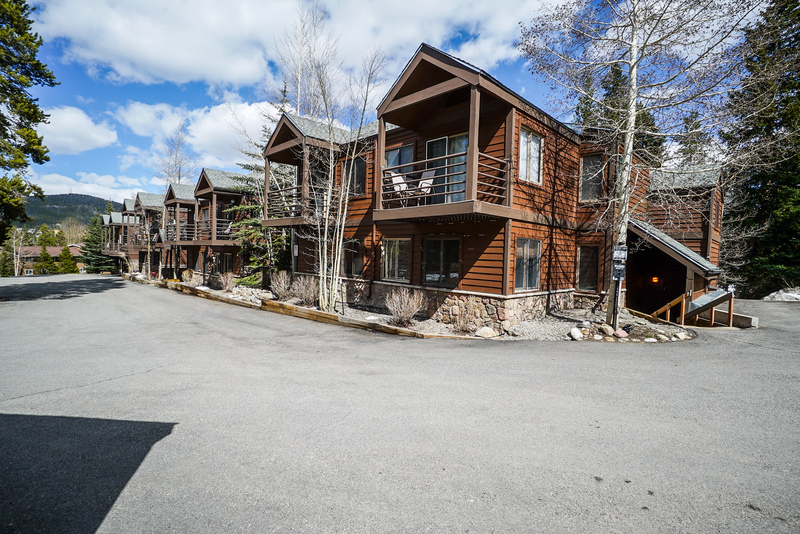 To get to the slopes, either ski to the nearby shuttle stop or walk to the Snowflake lift. 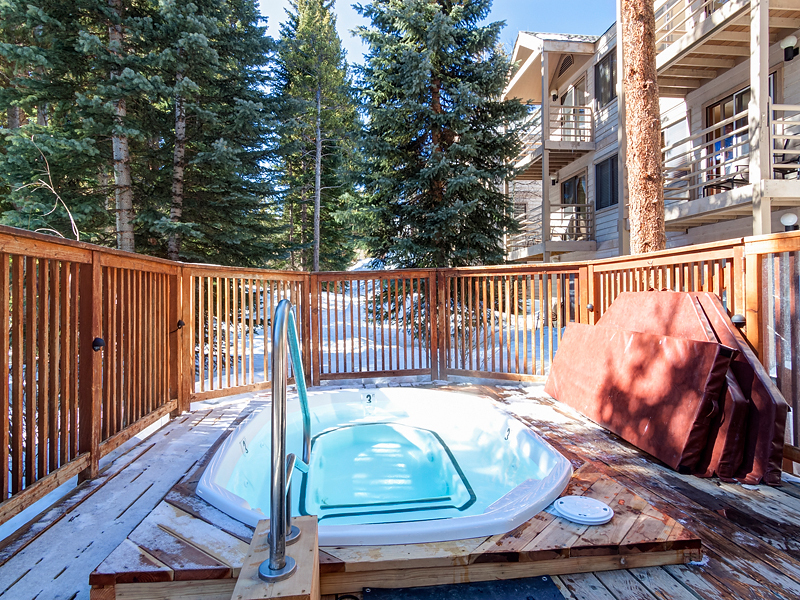 At the end of the day, you can ski in via 4 O’Clock Run right to your condo and the large, steaming complex hot tub. 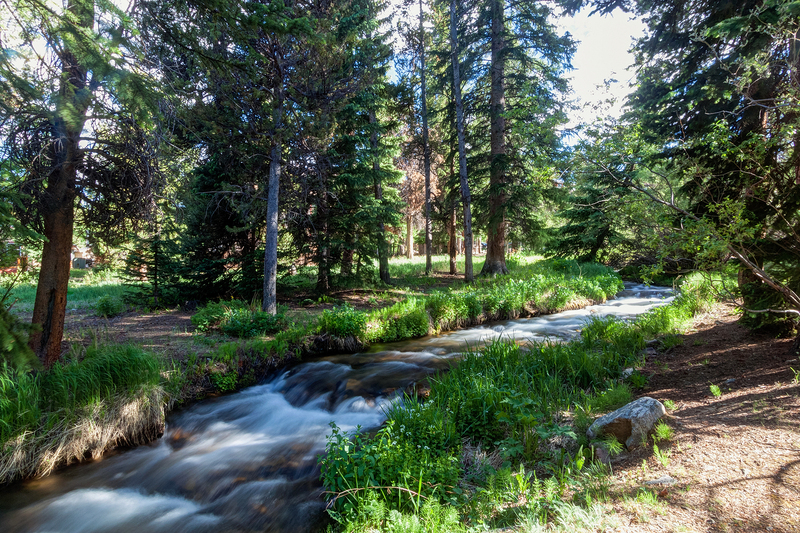 And in the summer, the picnic area with built-in outdoor grills along the stream is the perfect spot to relax with family and friends! 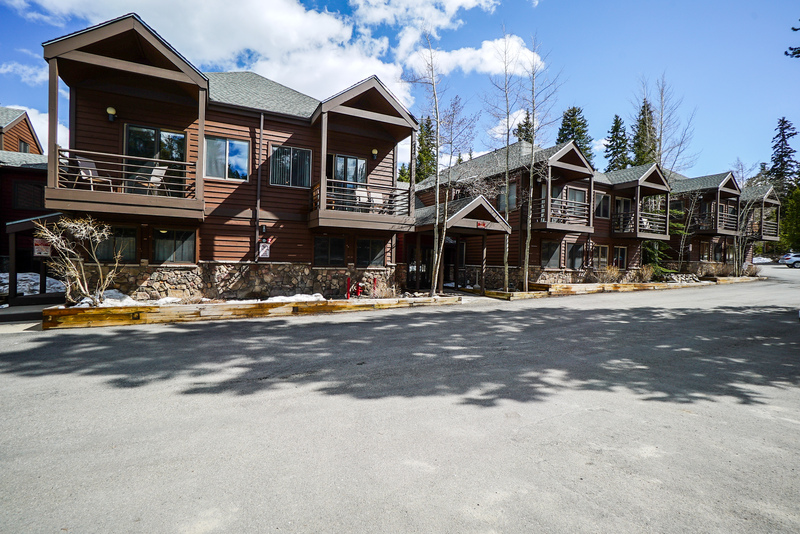 This cozy 1-bedroom, 1-bathroom deluxe condo in downtown Breckenridge is the perfect place for small families or groups of up to four people! The living room is the perfect spot to relax after an awesome day in the mountains next to the LCD TV. 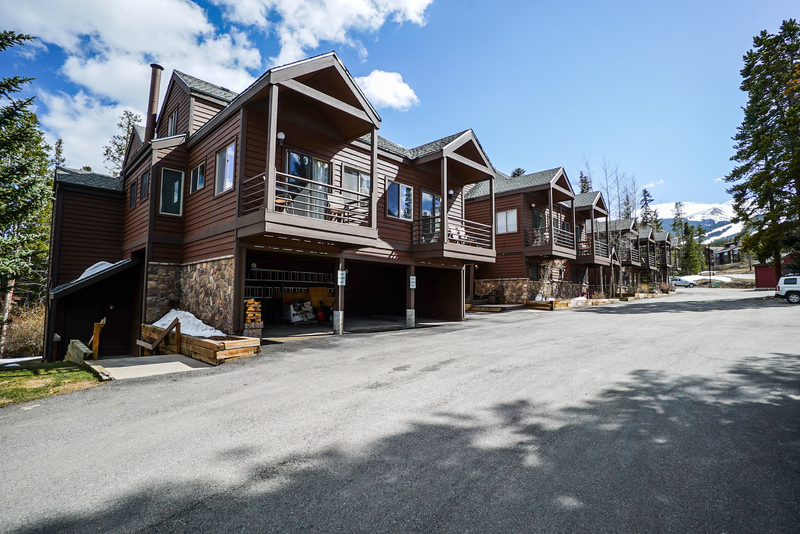 The fully equipped kitchen has stainless steel appliances and everything you’ll need to prepare great meals for your group, and there is seating for four people at the dining table. 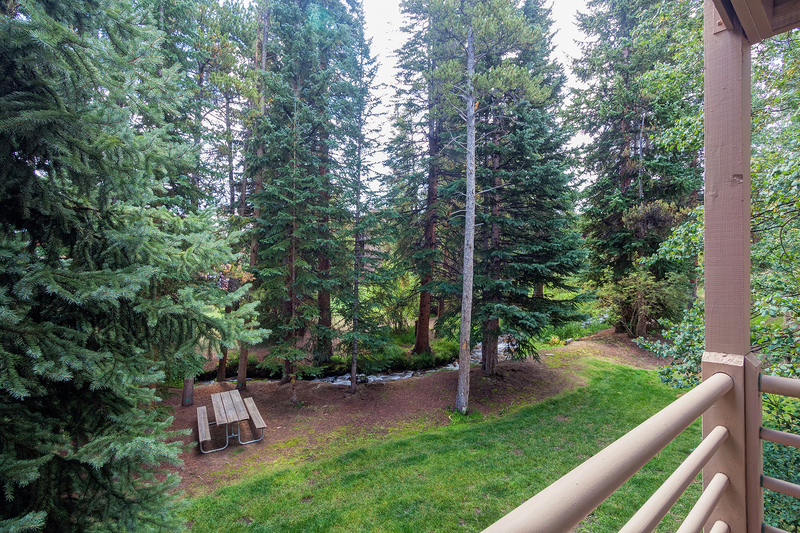 You’ll love stepping out onto the balcony located near the complex hot tub and right over the creek, making it the perfect spot to relax and listen to the soothing sound while outside. 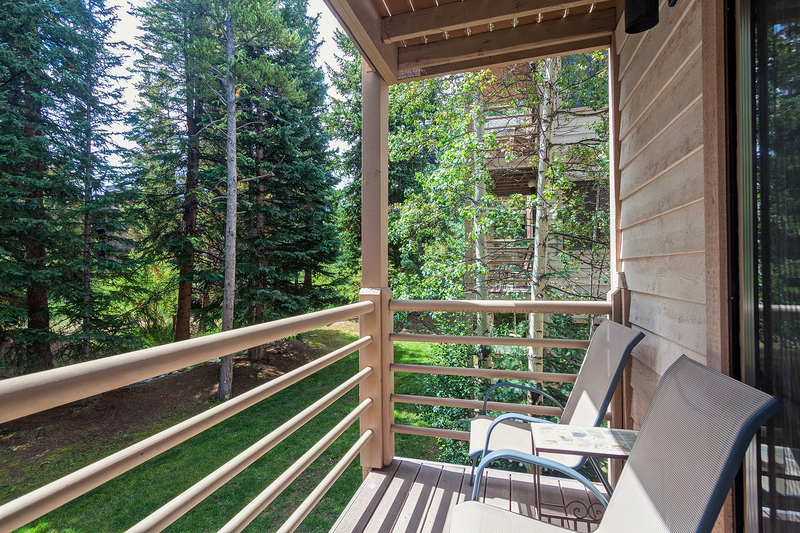 Other amenities include complimentary Wi-Fi, laundry facilities, and parking for one vehicle. 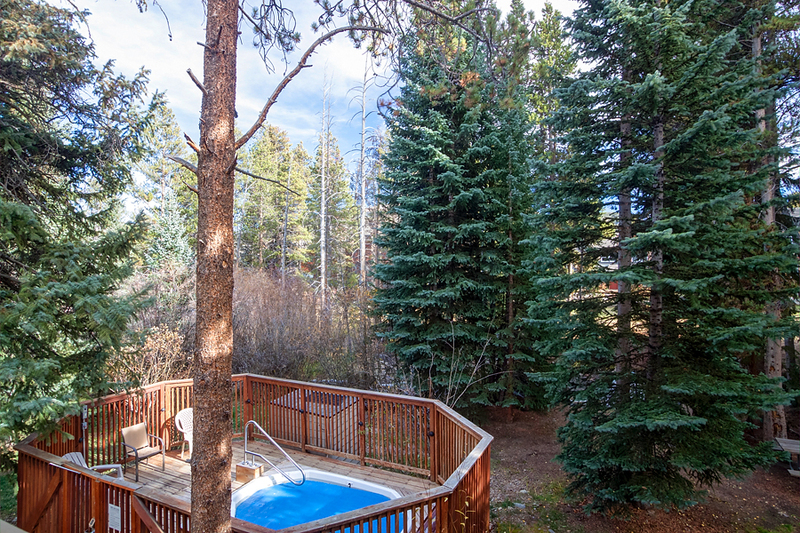 There’s also a large outdoor hot tub and indoor dry sauna. 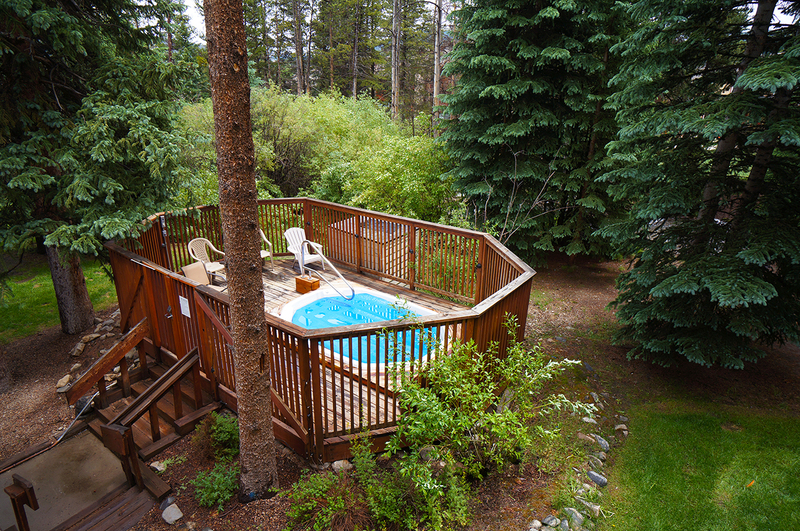 Don’t pass up this great combination of amenities, comfort and location. Call or book Wildwood Suites 207 online today! - Living Area: sleeper sofa. - Parking: parking for 1 vehicle. - Business and Occupancy License #43370.